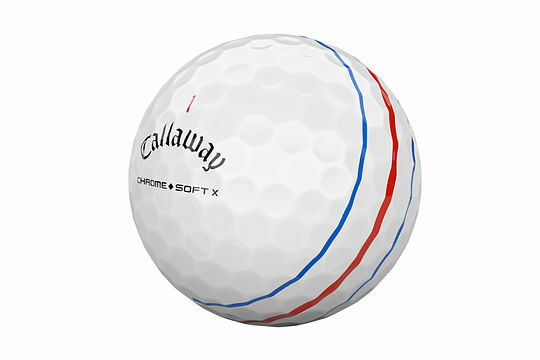 Callaway has announced the launch of the new Chrome Soft X Golf Ball featuring Triple Track Technology. This ball with the unique advanced alignment lines was debuted on Tour by staff professional Phil Mickelson earlier this year and helped him to win the 2019 A&T Pebble Beach Pro-Am. The Chrome Soft X Golf Ball combines Tour-proven performance with unparalleled soft feel and exceptional mis-hit forgiveness. Everything about the ball that changed the ball has been improved as a result of Callaway innovating every layer from their ground-breaking Graphene Dual SoftFast Core to the premium urethane cover. As a result, golfers will experience a very fast and soft-feeling ball with high launch and low spin off the driver for long distance, more workability from tee-to-green, and incredible shot-stopping spin with increased control from irons and wedges. The Chrome Soft X Triple Track Technology balls will be available in stores across Australia and New Zealand from April 19th 2019 and will be priced at AUD$67.99 (NZ$83.99) RRP.